Extend Your Subaru Forester Warranty - autopom! Has your Subaru Forester warranty expired, or will it expire soon? Or did you recently buy a used Subaru Forester? If yes, you may want to replace your expired (or expiring) warranty with a vehicle protection plan or extended warranty. I know you love your Forester! And I know the Forester has won many awards over the years, including Motor Trend’s SUV of the year in 2009 and 2014. It is certainly a great SUV and it can be a smart choice for your vehicle. However, the Forester is still prone to problems and some of those problems can cost a lot of money to fix. What would you do if you Subaru Forester warranty is expired and it breaks down? Do you have towing coverage? Do you have the money to pay for the repairs? No one likes to think about these questions. If you have extended protection for your Forester, you don’t have to! 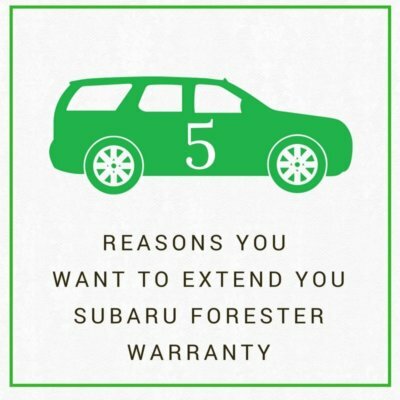 That leads me to just some of the reasons you want to replace your expiring (or expired) Subaru Forester warranty with a vehicle protection plan or extended warranty. You love your Forester. If you love your Forester, you will likely want to keep it for many miles. Having an extended warranty or vehicle protection plan is a key way you can protect it for a long time. Once the original warranty has expired, extended protection will help you take better care of your SUV while the contract is in effect. Commonly known problems with the Forester. According to repairpal.com, some of the most commonly reported problems with the Forester are failed catalytic converter, failed front O2 sensor, and head gasket failure. Then, according to carcomplaints.com, excessive oil consumption and blown head gasket are two of the top reported problems. These are all major repairs that are usually expensive to fix. The expense of repairs for the Forester.com reports that the average head gasket replacement costs $1,271 to $2,371 and the average clutch replacement costs $817 to $1,550. Carcomplaints.com says the average cost to fix the excessive oil consumption problem is $1,633 and a blown head gasket costs $2,096. Add up even two of these repairs and you maybe could have paid for a vehicle protection plan or extended warranty! Peace of mind. Remember those questions I mentioned above about your Forester breaking down? Well, you can stop worrying about them and get automotive peace of mind when you replace your expiring (or expired) Subaru Forester warranty with a vehicle protection plan or extended warranty. You will know things will be taken care of in case of a mechanical breakdown and you won’t need to worry about an expensive repair bill! Resale value. Even if you plan to keep your Forester for a long time, things can change and you will probably sell it at some point. If you do decide to sell your Forester while it is still under contract with extended protection, with certain plans (like those from autopom!) you can transfer the contract to the new owner! This can actually increase the resale value and help you sell your Forester faster! Contact autopom! today and let one of our friendly and knowledgeable agents help you! Third party providers, like autopom!, can give you great coverage for less money than packages offered through car dealerships, so you can have peace of mind and save even more money. And we promise to work with you to find you the best plan for your needs at a competitive price. Also licensed to sell in California! Contact autopom! today!